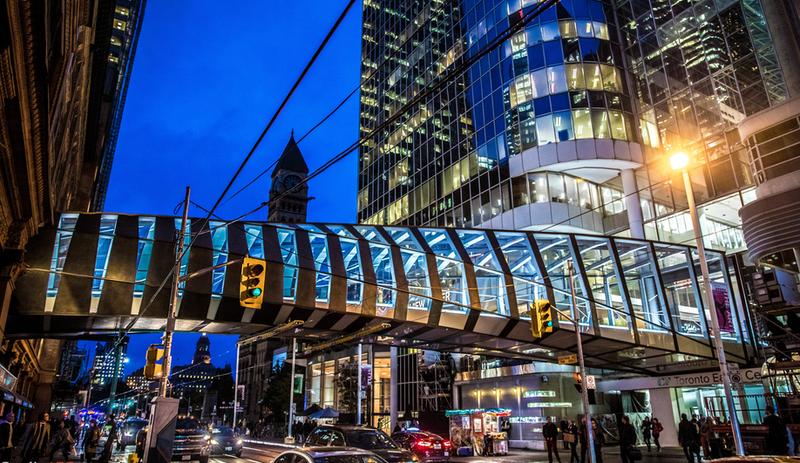 WilkinsonEyre’s long-awaited Eaton Centre bridge, connecting The Bay to the Toronto mall, is now open. 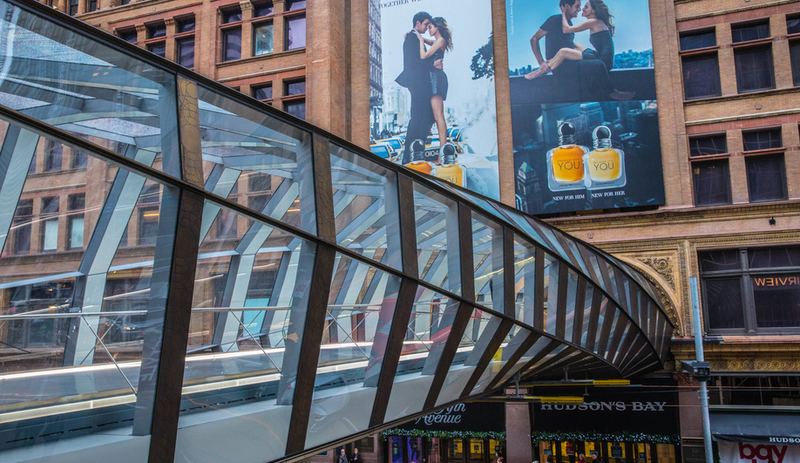 The pedestrian bridge that links the CF Eaton Centre and Hudson’s Bay’s flagship store – two of the Toronto’s prime shopping destinations – carries two million people annually. Reaching over bustling Queen Street West, the passage is not only a major thoroughfare for shoppers, but a highly visible architectural feature. 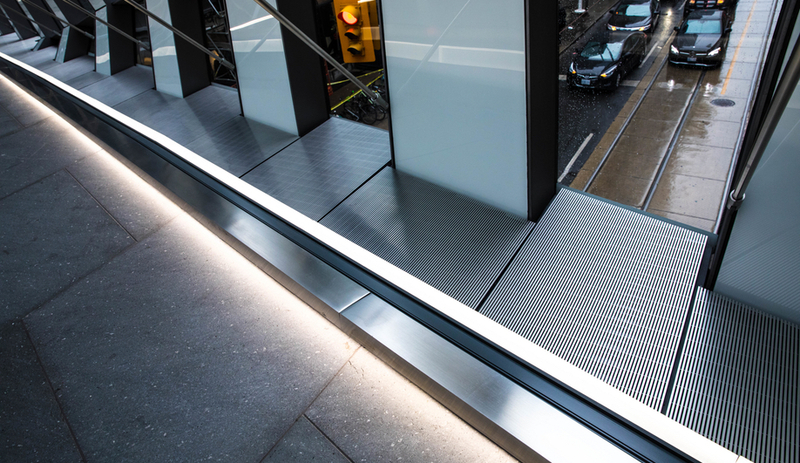 So when Cadillac Fairview decided to replace the previous skywalk – which was 40 years old – it chose an architecture firm that specializes in high-profile bridges: London’s WilkinsonEyre. 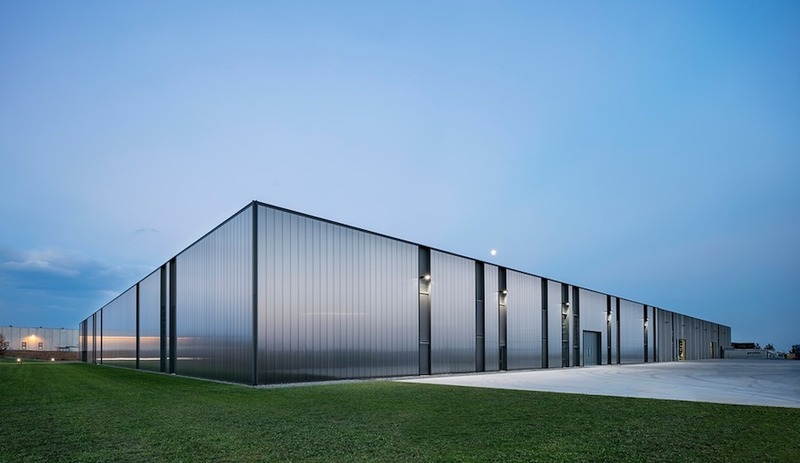 WilkinsonEyre, which worked on the project in collaboration with Toronto’s Zeidler Partnership Architects after winning an international design competition, says it envisioned the bridge as a “handshake” between the buildings it connects. 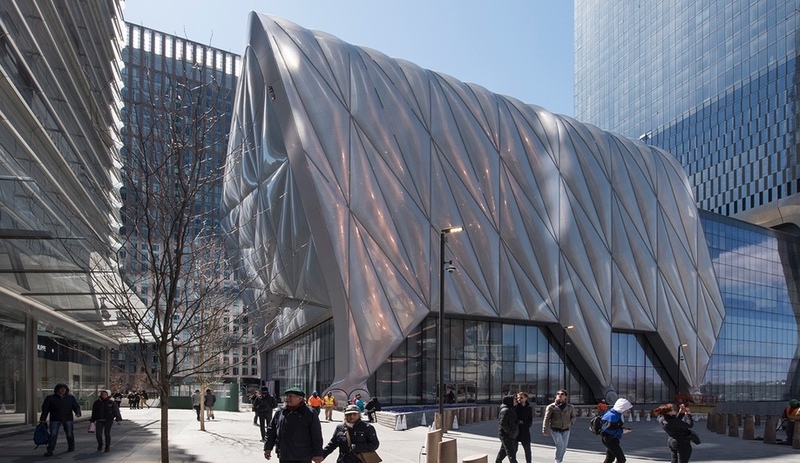 From street level the structure it resembles a wave: bronze cladding transitions to glass panelling as the bridge stretches northwards. It’s a subtly effective way tie the Bay’s Victorian facade – which partners nicely with bronze – to the glassy Eaton Centre. 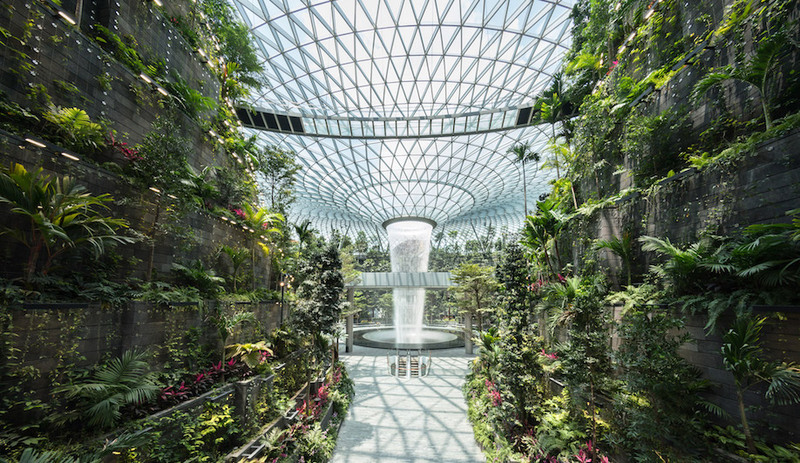 In total, 200 etched bronze panels and 355 slumped glass panels were used along the 35 metre-long span. “We designed the bridge’s form to connect together the two inherent geometries of each building, transforming from the historical, circular arches of the Hudson’s Bay and Saks Fifth Avenue building to the modern rectangular geometry of CF Toronto Eaton Centre,” Dominic Bettison, who designed the bridge as a director at WilkinsonEyre, said when the walkway’s plans were unveiled in April. 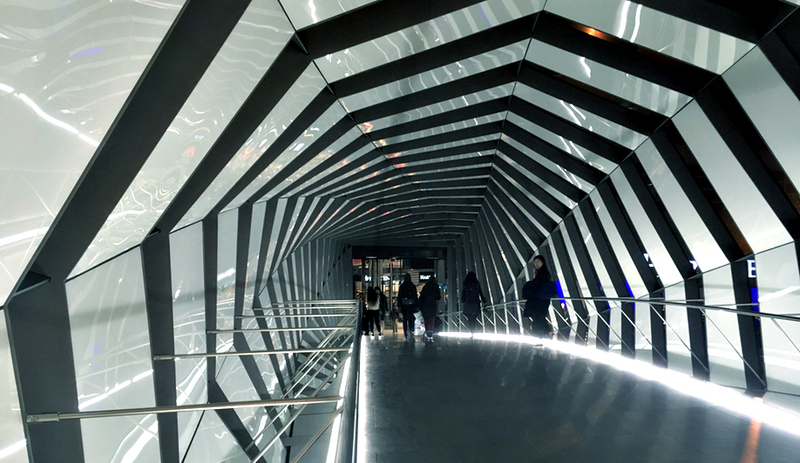 Inside the made-for-Instagram interior, floor lighting strips illuminate the walkway, an effect so dramatic that some have compared it a James Bond film. 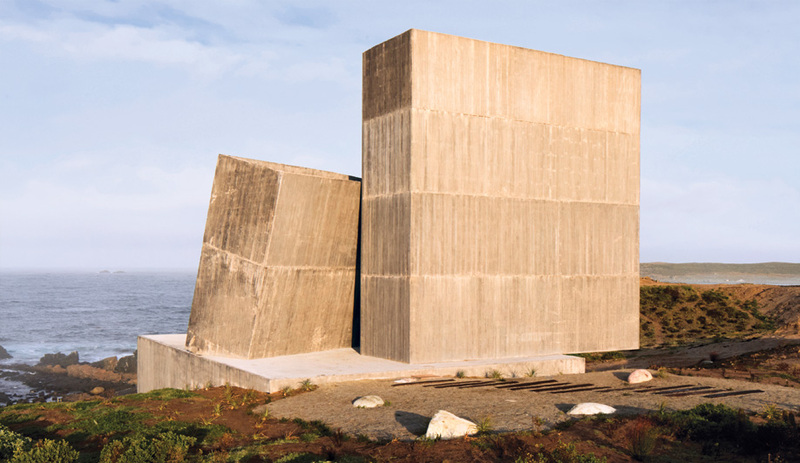 The project has in fact been generating buzz on social media since April, when the design was made public, and even more so after assembly began on nearby James Street. It was lifted in place in July, and construction was completed over the next few months, wrapping up in time for a November 2 opening. Now, it’s business as usual, with the skywalk ready to transport those two million people annually. 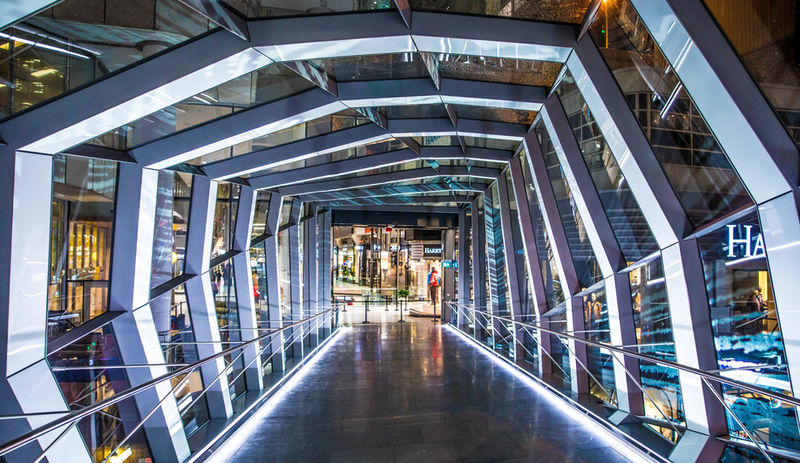 We suspect that traffic may move slowly for the first few months, as many of those shoppers stop to capture – and share – a shot of this stunning new feature.